TwelveYears a Slave is a striking film in many respects. It is striking in its dramatic pace and in the protracted attention to the minutiae of violence with which director Steve McQueen brings Solomon Northop’s wrenching story to life. The film is most striking for the significance it attaches to the intimate connection between language and violence and the role that this plays in legitimising the dehumanising regime of slavery.It is easy to dehumanise others; indeed we all do it to some degree. Research reviewed in the latest New Scientist demonstrates that the ability to dehumanise members of a group other than our own is innate.What the deployment of dehumanising language adds is a code for others to participate in the organisation of that tendency into a regime of racial hierarchy, subordination and violence. In 12 Years a Slave, this is demonstrated when one of Northop’s captors beats and whips him to get him to abandon his given name and status as a free man and accept instead an imposed slave name, telling him “You’re just a runaway n***er from Georgia. ”Accepting this term means accepting and normalising the violence that goes with it. When it comes to racism and the legitimation of violence, words count, a lot; when it comes to journalism, even more so.On Monday, the press ombudsman upheld a complaint I made on behalf of the European Network Against Racism in Ireland (Enar Ireland) about an Irish Independent article by Ian O’Doherty published on September 30th last year. 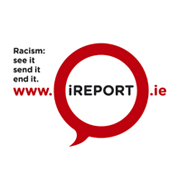 iReport.ie, a racist incident-reporting tool managed by Enar Ireland, received a complaint about the article. Finding in Enar Ireland’s favour, the press ombudsman ruled that the Irish Independent article was in breach of the press code of practice under principle eight – prejudice. The article made a number of prejudicial generalisations about Roma, including referring to them as a “parasitic, ethnic underclass”. The article also called for the State to engage in the ethnic profiling of Roma, by deporting “any Roma who doesn’t have a job”. The article also made use of the term “Criminal Roma”, a term recently identified as intended to stir up racial hatred by the European Court of Human Rights. The use of dehumanising language against Roma and the associated appeals for racial profiling by opinion-formers is sadly all too common across Europe, with grave consequences. In his warning in October last year against a rise in racism and xenophobia, European Commission president José Manuel Barroso did not lightly make the connection between the language being used in the public sphere and our continent’s all-too-recent history of nationalist chauvinism, conflict and genocide. For Roma the spectre of the porajmos (“the Devouring”), during which some 500,000 Roma, Sinti and Travellers were exterminated in Nazi camps, with millions more dispossessed and displaced, is never far away. Today, tens of thousands of Roma live in sub-human conditions in camps in Italy, Greece, Bulgaria and elsewhere. Organised violence against Roma is rife across Europe. Racist murders are commonplace. In Russia, Roma rights activist Pavel Limanskyi has been detained without trial for eight months. An investigation by the Czech ombudsman has found that some 90,000 Roma women have been involuntarily sterilised by the state in the former Czechoslovakia since the 1970s. 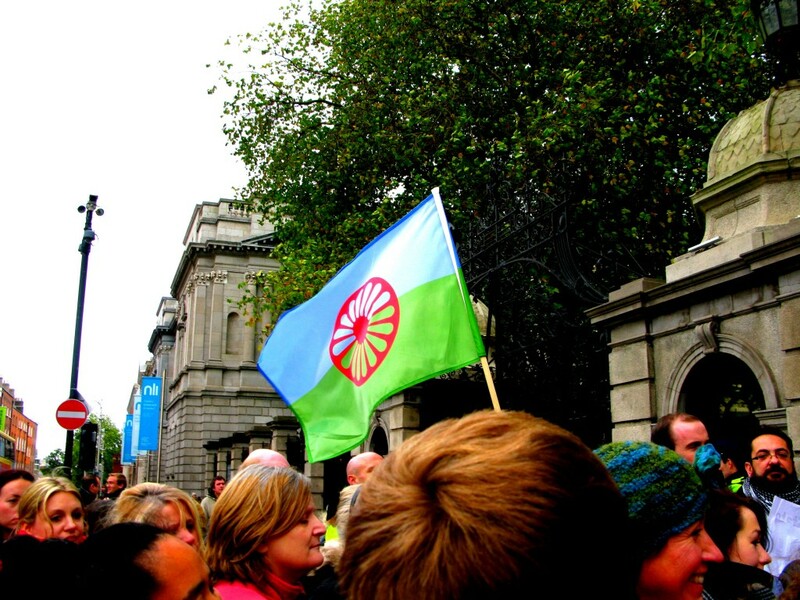 The European Roma Rights Centre (ERRC) has recorded such cases as recently as 2007. In Ireland, in the same time frame as the Irish Independent article, the Sunday World published a number of articles decrying the use of taxpayers’ money to set up a pilot “GP bus” for Roma in Tallaght in west Dublin.That this innovative HSE scheme for delivering healthcare to a marginalised group is widely recognised as successful and cost-saving did not detract from the opportunity it presented to some to demonise and stigmatise Roma. The articles were republished by a number of west Dublin newspapers. Since then, a significant number of reports were made to Enar Ireland about acts of racism against Roma in Tallaght.At the same time as these articles were published, a moral panic erupted across Europe – the “Maria Story” in Greece, a story strongly reminiscent of the ancient racist myth of gypsies stealing children.On October 21st, the HSE and gardaí removed a seven-year-old blonde-haired Roma girl from her family in Tallaght. They were acting on a tip-off from a television presenter contacted by a neighbour of the family. The next day, gardaí in Athlone removed a second blond-haired Roma child from his family, again in spite of objections.Let us hope that these incidents will remain the lowest point in recent Irish race relations history. Let them be a warning against the dangers of irresponsible journalism and the reckless use of language by those seeking to make capital out of controversy.Let this be the rejoinder to the spurious claim that it is “political correctness” and fear of being labelled racist that stifles informed debate.As Enar’s research shows, it is racism that stifles informed debate about our inter-cultural reality and silences the voices of those at its sharp end. With the European and local elections looming, we need to redouble our efforts to make racist language unacceptable. The recently published first quarterly report of iReport.ie makes for shocking reading. It also makes clear the connection between racist language and the potential for people in vulnerable situations to have their rights violated, as in the example of the appalling removal of two children from their families. As the news of our favourable Moody’s re-rating sinks in, perhaps we ought to be thinking as much about how we are rated internationally as an open, harmonious and cosmopolitan society. The language we use about minorities will count a lot towards this.